Dental fears are common. Unfortunately, TV and movies like to portray dentists as cold and unfeeling people who enjoy causing pain. Nothing could be further from the truth, but sadly, this image is what sticks. People also tend to hear from a young age about painful dental procedures. When someone says they have a dentist appointment, the usual response is to give condolences! Is it any wonder that dental anxiety is so prevalent? At our Edmond dental office, we want to change that. We want to be an office that people enjoy coming to. While it might be unrealistic to expect someone to say, “Hooray! I get to go to the dentist today!” we’d at least hope that they don’t dread the experience. One of the ways we make dental visits easier and stress-free, particularly for those with dental anxiety, is by offering sedation dentistry. 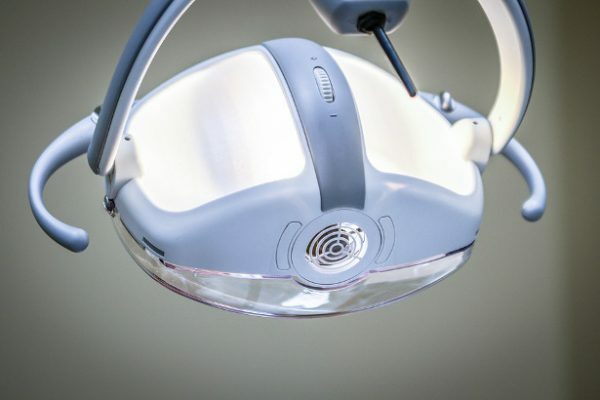 Sedation dentistry is the administration of calming medication either before or during the appointment to reduce anxiety and promote a calm, relaxed feeling. Different types of sedation dentistry are available. Nitrous Oxide – This type of sedation dentistry uses a gas that is breathed in through a special mask. The gas creates a calm and sometimes even euphoric sensation, leading to its other familiar name – laughing gas! Nitrous has few side effects and is safe for all ages. The effects of the gas wear off almost as soon as we remove the mask, which means you’ll be perfectly safe to drive yourself home after your appointment. Oral Sedation – For this type of sedation, we prescribe a calming medication that is taken an hour prior to your appointment. This is a good choice for those with more anxiety or if you need a more intensive procedure. Many people find that the medication dulls the sounds and smells of the office, and others find that time seems to fly by. You may remember little of the appointment later. Some become so relaxed that they actually fall asleep! Because it can take a while for the effects of the medication to wear off, you will need someone to drive you to and from the appointment. IV Sedation – If IV sedation is needed, we can bring in a board-certified anesthesiologist to administer the medication. If you feel like this type of sedation is right for you to get the care you need, please talk to Dr. Gray as we will need to make advance arrangements. We have made every effort to make our office a calm and relaxing place, and our team is filled with caring, compassionate people. If there is anything that we can do to accommodate your needs, please let us know. We want you to feel comfortable and confident about getting your dental care. When dental fears keep you from getting your regular cleanings and examinations, you are at risk for decay, gum disease, and other oral health issues. Early treatment is simple, and most people are surprised at how quickly the procedure is over. When you put off treatment, however, the problem gets worse and worse, and by the time pain finally drives you into our office, you may need a more extensive treatment. As you might expect, this perpetuates the cycle of associating pain and fear with the dental office. Let’s break this cycle now. Call our office and schedule a consultation appointment with Dr. Gray. He can sit down and talk to you about your concerns, and together, you can create a treatment plan that will work for you. We are always thrilled when we can turn a fearful patient into a happy and healthy patient. Call us today to make that change.